Add attractive custom messages in the Cart page, when discount rule matches the cart. Few would like to display the discount which has been applied in the cart page. Let us see, how to display the same. Go to Woo Discount Rules -> Settings -> Promotion. 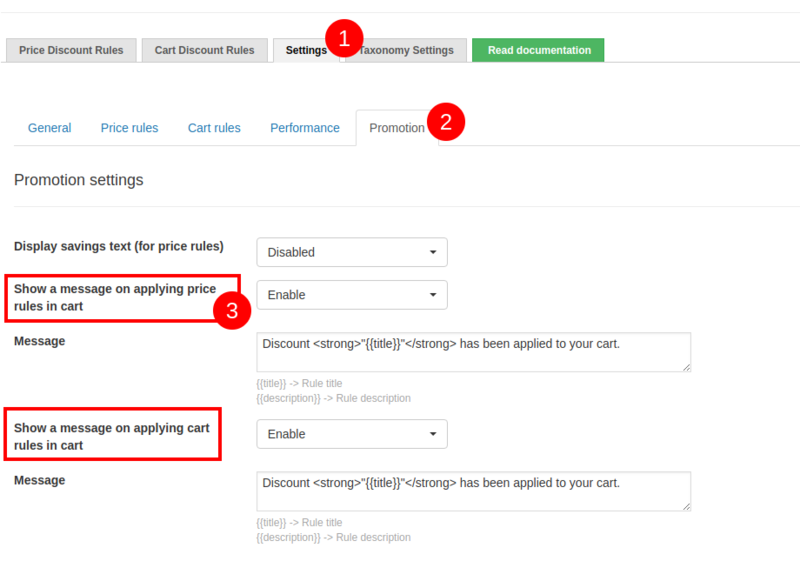 You can enable the message separately for Price Discount rule and the Cart discount rules. This element will display your Rule Name. This element will display your Rule Description. Or simply you can display a your customized message. You can also enhance your sales with the message display by showing the Next offer you have on your store. What if you want the customer to know about the secondary offer follwed to get additional discount ? 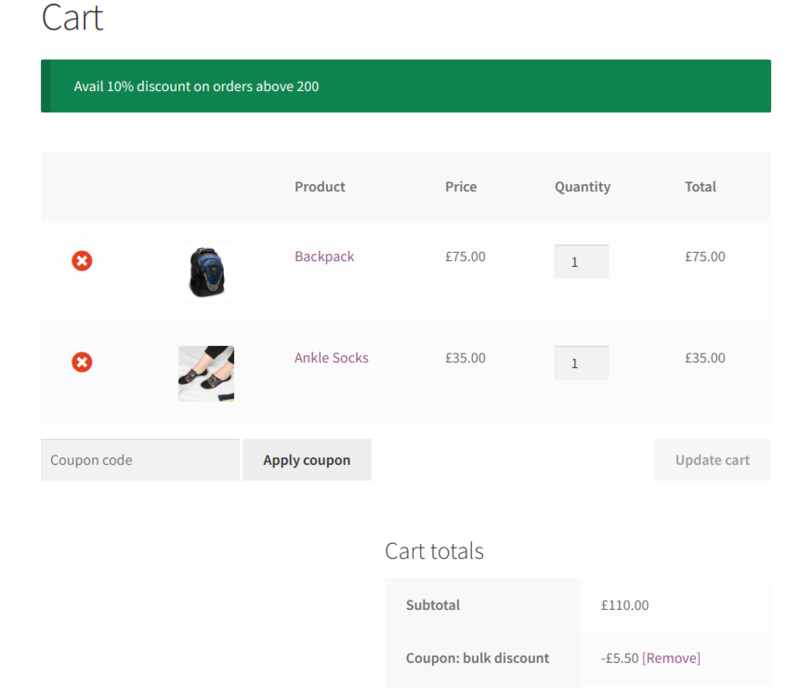 So, while creating rule 1 , you can add a description like "Avail 10% discount on orders above 200"
So, once the cart matches Rule 1, it will display the description which automatically boost your sale ! Same way for next consecutive discounts , you can add the descriptions accordingly to show the next step discount. Just leave your question and email by clicking the Live Chat button below or you can submit a support request.